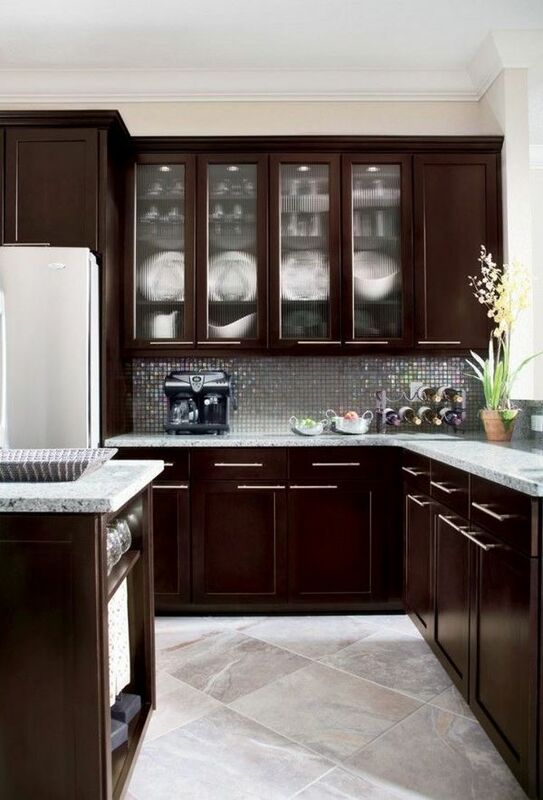 Espresso kitchen cabinets are often seen in modern design as this color refers to the palette of natural shades and it looks great on natural materials: wood, leather, fabric, ceramics, stone, etc. 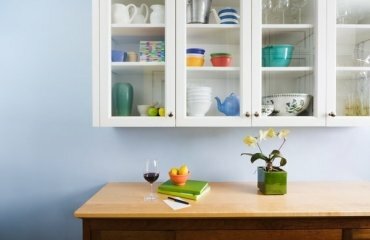 Such a “delicious” color appears on wooden facades or solid wood floors, on granite countertops, tiles, upholstery, etc. 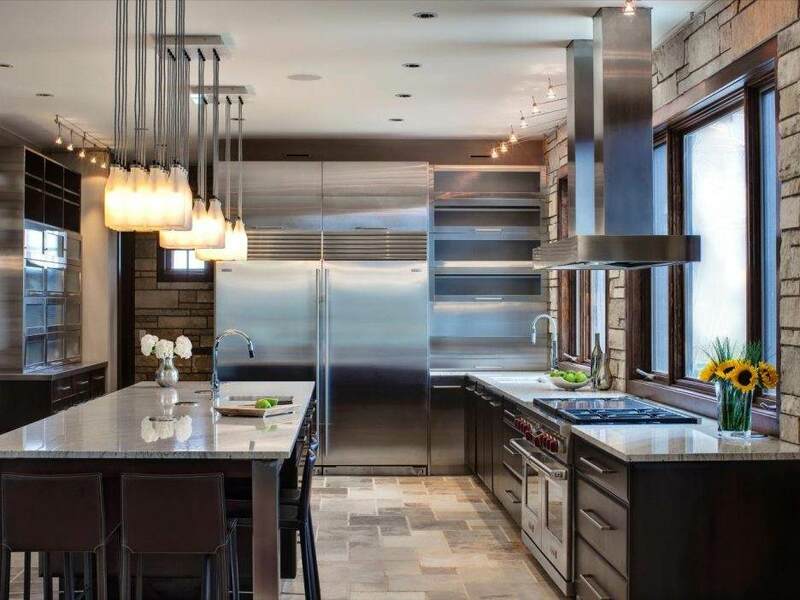 Even when used as an accent color, it will have its magical soothing effect, which is especially necessary for bright kitchens. 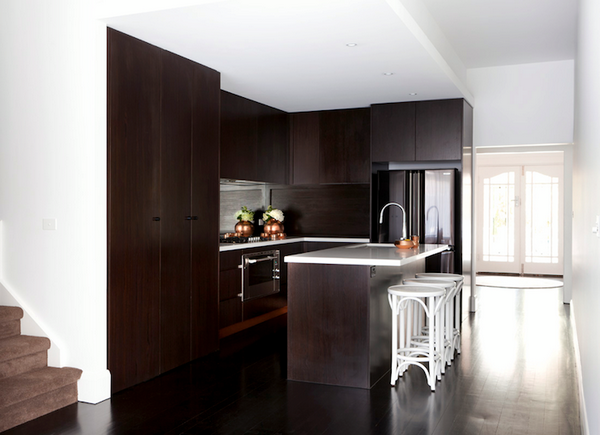 Espresso color in the interior of the kitchen is often used by designers create a sleek and modern interior. 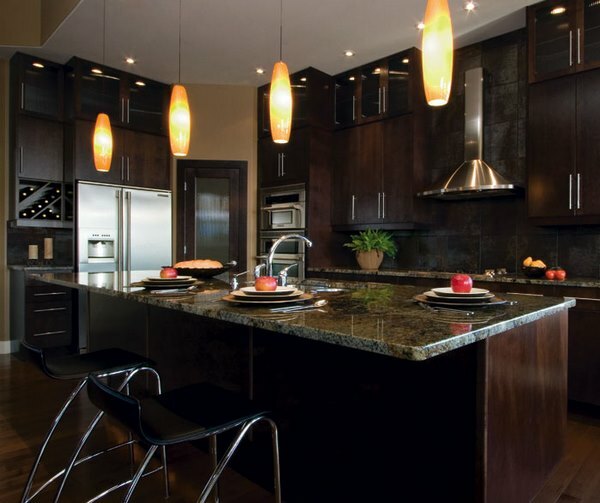 Dark brown cabinets can be used when you want to create a monochrome interior as well as for contrasting color solutions. 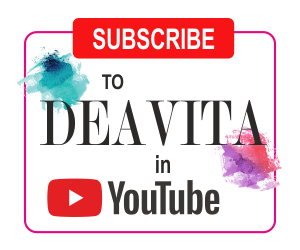 They are an excellent choice for amateur designers since the rich dark brown color harmoniously combines with almost any other basic color and the final result will look very well. 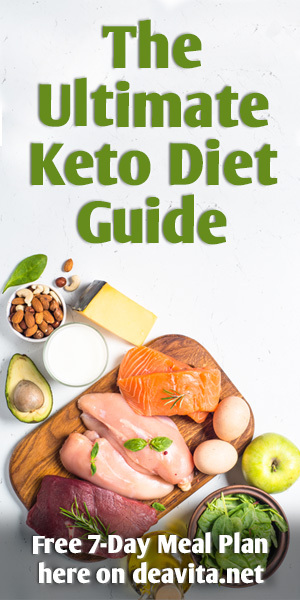 Of course, there are exceptions – gray and black do not work quite well with brown, so this is something that you need to remember. In general, the colors from the dark brown palette symbolize stability and prosperity, which makes them especially popular for interior decoration. When used correctly, the color creates positive emotions and friendly and cozy atmosphere. 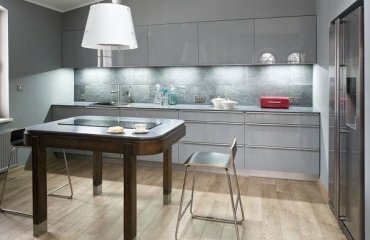 What are the advantages of espresso kitchen cabinets? 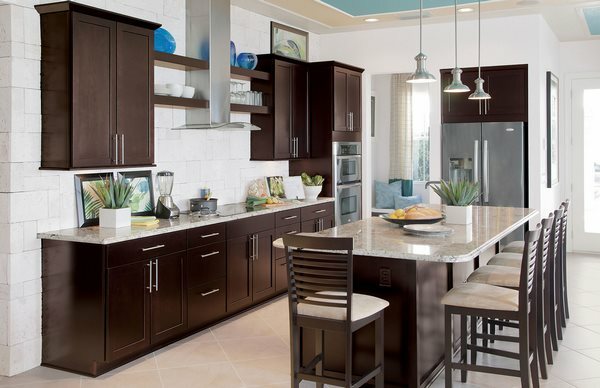 Versatility – you can use the color for the cabinetry or as an accent on the kitchen island. Either way you will have a beautiful interior. In addition, the color is suitable for decors in a variety of design styles – rustic, traditional, modern, etc. Espresso color looks equally good on glossy and matte surface, smooth and carved, artificially aged furniture or with paneled pattern. 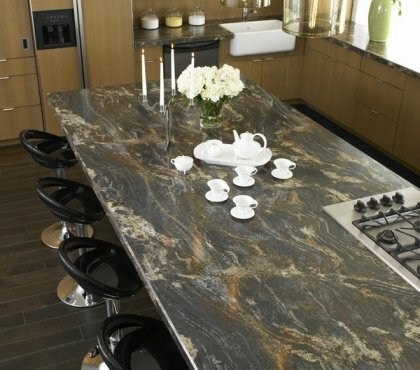 It is perfectly combined with the natural texture of granite, stone, glass and textiles. 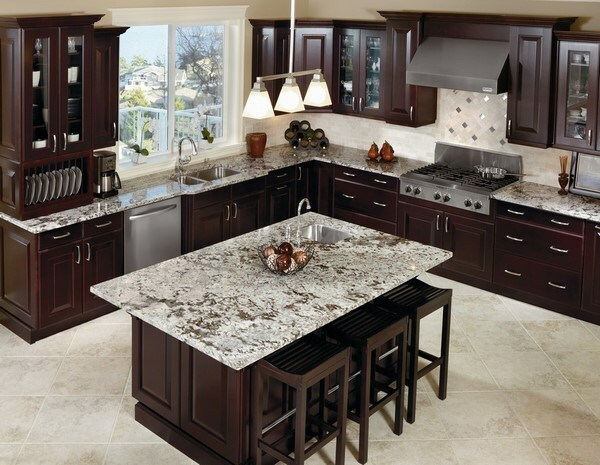 Convenient and practical – some people find espresso color too dark for a kitchen, but with the right accessories and decoration, flooring and backsplash, the color looks noble and rich. 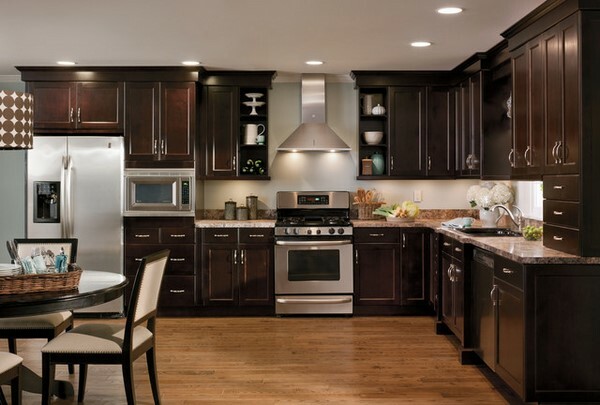 In terms of practicality, the daily maintenance of darker cabinets is much easier than the care that white cabinetry requires. As per psychologists “edible” colors like chocolate brown, espresso and caramel create a feeling of coziness and increase the appetite. In addition, the color has a comforting effect which is all that we want after a hard day’s work – a place where we could feel peaceful and relaxed. 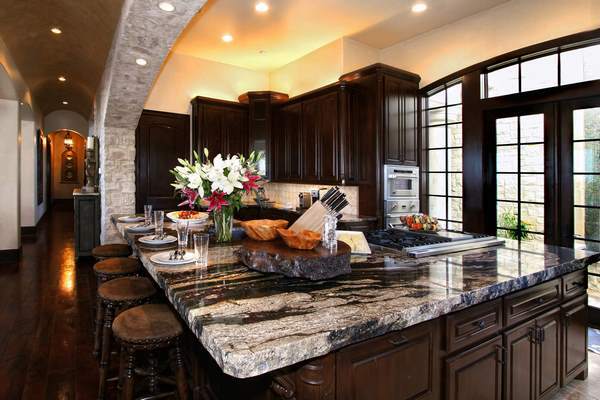 Espresso color has a great decorative value. 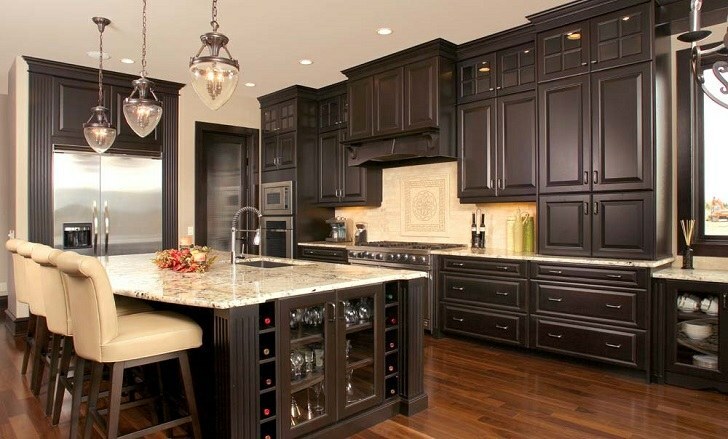 The nobility of the dark brown palette does not require additional decor. 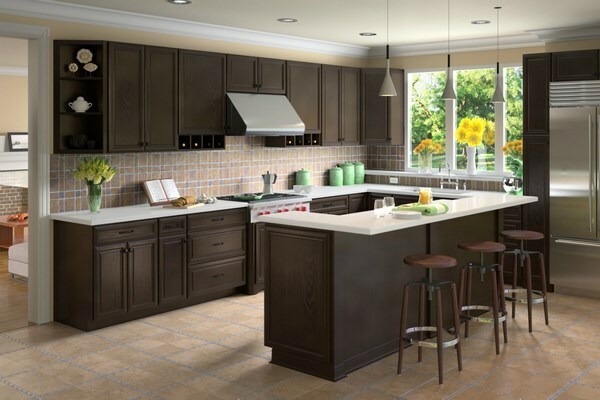 Unlike other colors used in the kitchen, the surplus of dark brown does not look tasteless. 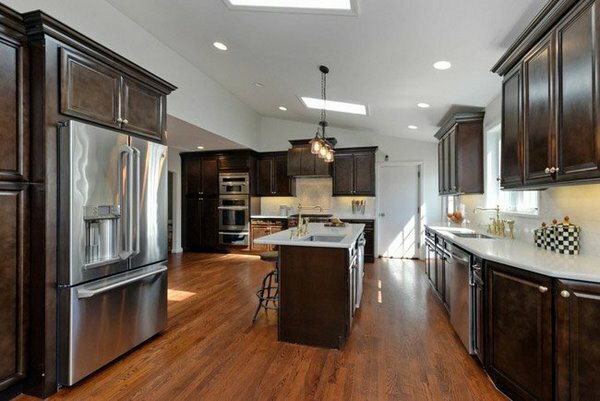 How to combine espresso kitchen cabinets with other colors? 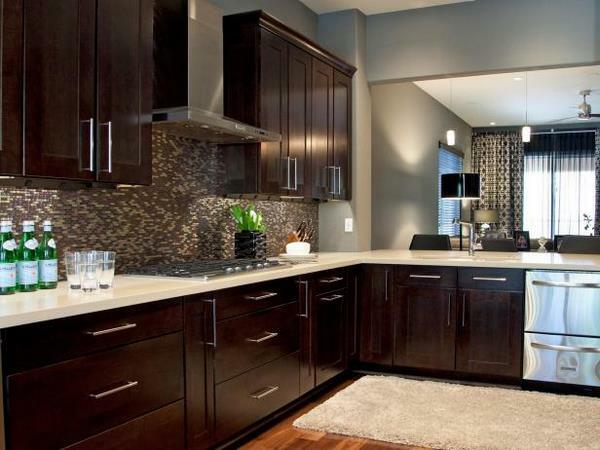 Espresso and white – this is a beautiful combination creating a great visual contrast. 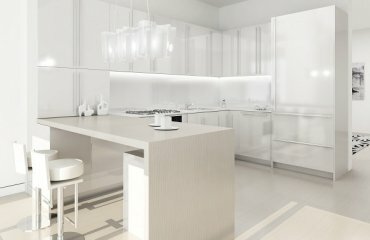 White will give the kitchen freshness and visual volume. This combination is the perfect choice for contemporary interiors and looks incredibly stylish and sleek. 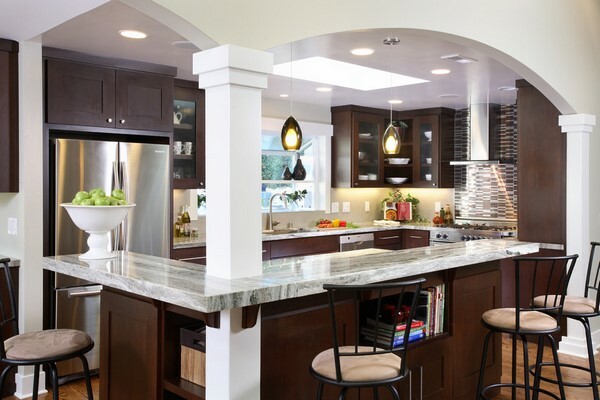 Some people do not like the dark espresso brown-white combination for the kitchen because it seems to them too contrasting and harsh. The good news is that there are other options which can suit their taste. Soft shades like apricot, golden, beige, milky, vanilla combined with the rich espresso color will make the room more gentle and neutral. 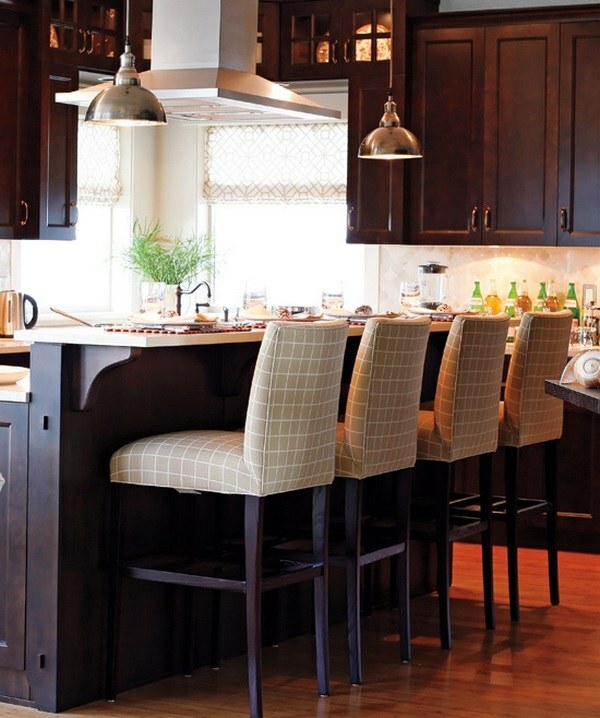 Espresso and beige – this color combination is softer although contrasting. 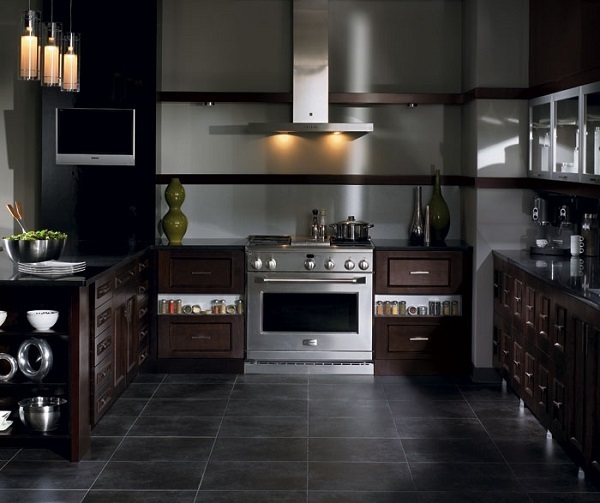 For example, delicate beige walls can be the perfect background and highlight your beautiful espresso kitchen cabinets. 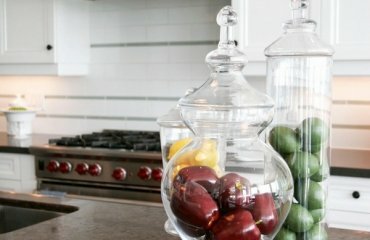 Boldly and bright accents like yellow, orange, red or green can change the atmosphere in a kitchen with espresso cabinets. You can introduce accent colors in tablecloths, chair covers, curtains, etc. 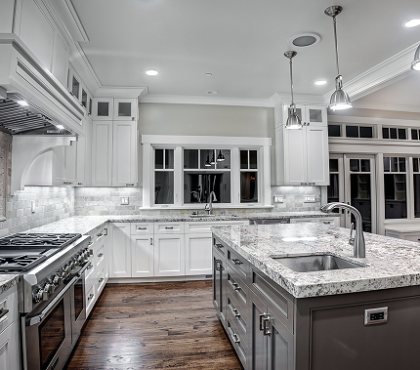 Lighting is especially important for kitchens equipped with espresso cabinets. Insufficient lighting will make the room appear dark and depressing. 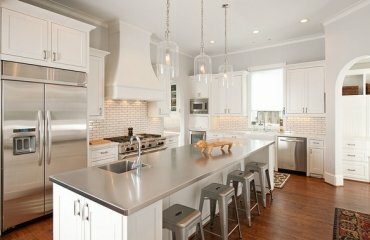 If natural light is limited, make sure that you paint the walls and ceiling in light colors which will immediately make the place lighter and brighter. 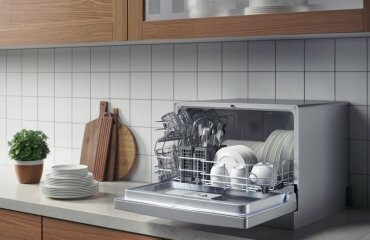 The pros and cons of countertop dishwasher – do you need one and why?